The Board of Trustees (BOT) holds all immovable properties as an accretion to the funds and assets of the Association for the benefit of its members. The BOT acts upon and abides by the express instructions and directions given by the EXCO. 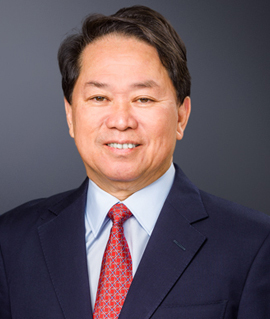 Maj. (Ret) Dennis Tan BBM, is a Senior Director, Financial Services. His wife Christine is a senior civil servant who retired in 2010. They have two sons; Desmond & Derek, age 40 & 36 respectively. Elder son Desmond is a partner in the distinguished law firm Lee & Lee. Younger son Derek is the MD of a Project Design Firm and business owner of a few other companies. 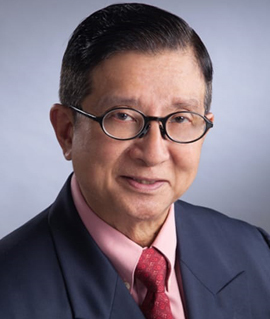 Maj. (Ret) Dennis Tan joined the financial services industry in late 1977 after he left the army and has been an active practitioner since (>39 years). Being a consistent and regular million dollar producer in the earlier years of his career, he had achieved many top awards and honours at company and industry levels. Some of those worthy of mention are: Top Divisional Manager (GE), Top Divisional Manager (JH), Special Eagle’s Award (JH) and Global Star of Excellence Award (ML). His crowning achievement is when he was acknowledged by his industry peers and accorded the highest accolade: “Practitioner of the Year 2000 – Commendation Award”. In addition, he is also an active and prominent member of the industry since 1978 and held numerous key appointments in the various institutions. 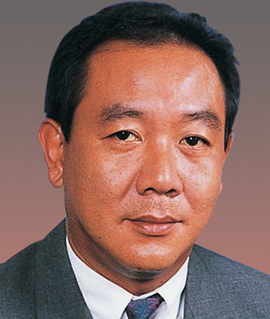 He is one of the very few pioneering and founding members still actively serving that helped oversee the development and growth of the LUA and GAMA. He has the rare distinction of being the only active practitioner who had served as President in the two key national bodies: - Life Underwriters’’ Association (LUA) in 1993/94 and General Agents & Managers’ Association (GAMA) in 2003/04. These two bodies are the predecessors of the Insurance & Financial Practitioners’ Association (IFPAS) and Financial Services Managers’ Association (FSMA) respectively. He also serves as an active member of the IFPAS STAR Team since 2012. Maj. (Ret) Dennis Tan is a highly sought after industry Trainer & Coach and spoke at numerous local & overseas congress and seminars both within and without the industry. Besides being actively involved in the development of the industry, he also devoted much time towards Nation and Community building and serves actively in many community service clubs and grass-root organizations. Rolfston is an industry veteran and has been in the life insurance industry since 1975. When the association was still called as Life Underwriters Association, Rolfston held the key positions as education chairman, Vice President and finally as President in 1988. He was also one of the L.U.A.T.C. and A.M.T.C. moderators and part of the first pro-temp committee for the first S.I.I. diploma.